Ahhh, you took me back again, walking the Siq at 6.00am and then turning right at the Treasury and then climbing up and up to the gates of Heaven to look down on it all. Wendy and I did visit Marguerite’s store/home and were fortunate to meet with her son, Kiwi accent and all, a tall lad and in to rugby. Oh Petra … wish I was back there now!! 6:00am my head was still on the pillow. 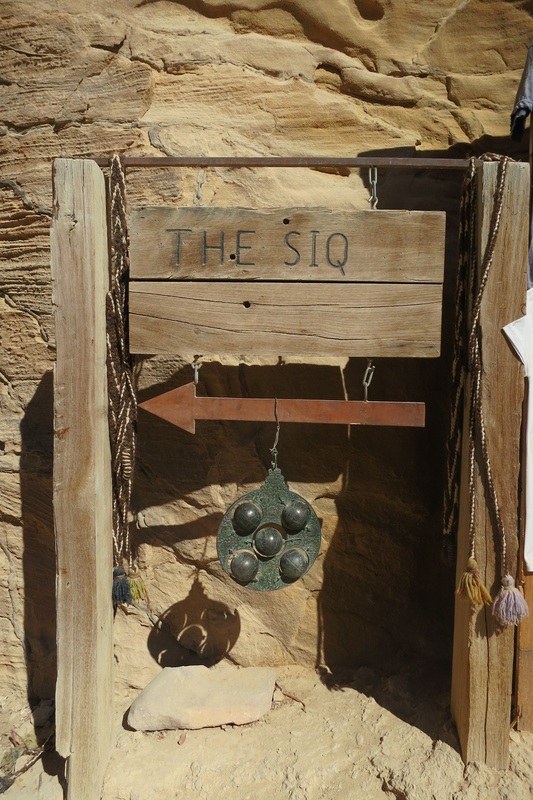 So our view of the Siq was different. Handsome. You forgot to write her handsome son.